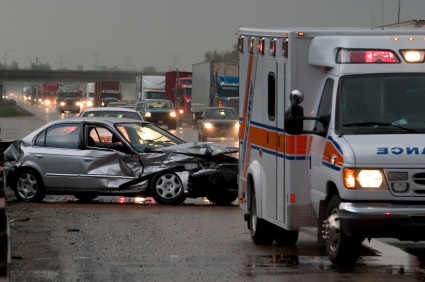 If someone injured you through their negligence in driving a vehicle, then you have rights under the law. You want to make sure to protect those rights after a car accident so you don’t end up paying- financially and personally- for someone else’s careless driving behavior. In some cases, you made need to sue after a car accident. Read on for the top 10 reasons why hiring an attorney after a car accident will help protect your rights. 1. You have only a limited time to sue: In most states, the statute of limitations for filing a car accident claim is between one and two years. If you don’t sue within that time, you give up your right to sue forever. 6. The laws differ from state to state: Auto insurance and auto accident rules are decided by each individual jurisdiction. For example, there are 12 “no fault” states in the US in which you cannot sue after a car accident except in special circumstances. Likewise, in some states, you can sue even if you were partially at fault for the accident (called comparative negligence states) while in others, if you contributed to causing the accident you can’t sue (called contributory negligence.) An attorney in your area can help explain all the nuances of the law within your jurisdiction to you, so you will fully understand all of your legal rights. 7. You need to understand settlement options: Most cases settle out of court, which means the defendant or his insurance company is likely to make you an offer. Your attorney can help you understand the implications of accepting this offer, since once you accept, you give up your right to sue forever. He can also help you to evaluate whether settling is the best option in your case or not. 8. Filing a lawsuit requires adhering to complex rules If you decide to sue, you will have to file the appropriate papers in the court. This is not as simple as going to the court house and announcing your intent to sue. A number of complex rules exist on everything from the font size of the brief to how legal precedent is cited and what evidence is admissible. You will need a lawyer to guide you through the complicated process of filing suit. 9. Proving your case can be even more complex– Just as filing your case is complex, proving your case is even more so. You may be permitted to “discover’ certain information from the other side, and you may be limited in the types of witnesses and evidence you present. There are even restrictions on the kind of questions and phrasing of questions you ask in court. Furthermore, extensive legal research often needs to be done to convince the court or jury to side with you. As such, it is very difficult to prove personal injury liability on your own. 10. If you don’t hire an attorney, you could be faced with financial loss– If you don’t sue in time, if you don’t sue for the right damages or sue the right defendants, and if you lose your case as a result of improperly presenting your information, you will be barred from ever suing again. This means you will have used up your only chance for recovery and you will be stuck with all the costs and bills as a result of the accident that someone else carelessly caused.